A year after her husband's death, Facebook COO Sheryl Sandberg is opening up about her new reality as a single parent. In a long post on Facebook Friday afternoon, Sandberg talks about adjusting to being a single mom in light of Mother's Day. She calls for better paid maternity leave, and stronger polices to support all single parent families. "Dave's absence is part of our daily lives and, for me, has redefined what it is to be a mother," said Sandberg. 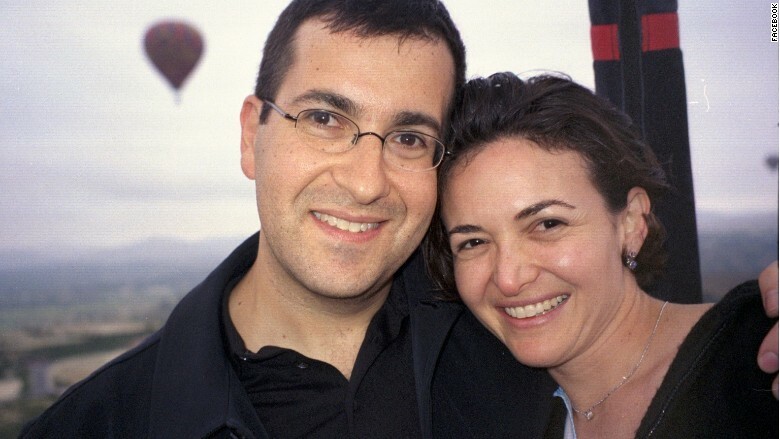 Her husband Dave Goldberg died in an accident in Mexico last May. Since then, Sandberg has raised the couple's two children and continued her work at Facebook (FB) and with her Lean In movement. The Lean In initiative has been criticized for not adequately addressing the difficulties of lower income and single mothers. The book emphasizes the importance of having a partner's support in order to achieve success. In Friday's post, Sandberg walks back some of her early misconceptions. "Before, I did not quite get it. I did not really get how hard it is to succeed at work when you are overwhelmed at home." "Some people felt that I did not spend enough time writing about the difficulties women face when they have an unsupportive partner or no partner at all. They were right," said Sandberg. "I will never experience and understand all of the challenges most single moms face, but I understand a lot more than I did a year ago." Even though she is now a single parent herself, Sandberg is careful to recognize how different her situation is from that of millions of single-parent families living in poverty. Sandberg is a highly paid executive at a large company, and she has a tight, supportive network of friends and family. She points out that 40% of single-mother-led families in the U.S. live in poverty. That number jumps to 46% for black and Latino single moms. Sandberg calls for federal paid maternity leave and paid sick leave to care for children. "Instead of providing support, we all too often leave the families who are struggling the most to fend for themselves. The odds are stacked against single mothers in this country. Yet so many give everything they have and go on to raise incredible children." Her post had been shared more than 3,000 times, and the comments were filled with hundreds of "thank you's" and anecdotes from single mothers and people raised by single mothers.